This is a guest blog post written by Rusty McKune, ATC of Nebraska Medicine. You can learn more about Nebraska Medicine here. As race day nears, most everyone is looking for the right training and fuel strategy to give them an extra edge. While there’s really no “magic formula,” there are definitely some things you can do to maximize your performance during your training and on race day. Consider these tips to prime your body as you prepare for race day. Load up with complex carbohydrates a few days leading up to the race. Three to four hours before the race, consume food that is high in complex carbohydrates, lean protein and healthy fats. About one hour before the race, eat something high in carbohydrates and low in fat. Avoid food high in fat or fiber, as they may cause gastrointestinal distress. Dehydration can impair performance by causing fatigue and decreased physical and mental performance. Making hydration part of your training plan will carry those practices over into your race. You can monitor your hydration status during training by looking at your urine color. Clear to light yellow is good. Dark yellow is sign of dehydration. Drinking water is generally sufficient for a run less than 45 minutes to one hour. If you are running in a race that is longer than an hour, drink a sports beverage like Gatorade, to replenish nutrients like potassium and sodium. Generally, you should try to drink about five to eight ounces of fluid every 20 minutes during your training runs or races. After the race, don’t forget to rehydrate. To achieve rapid and complete rehydration after the race, consume beverages containing sodium and other electrolytes. The general rule is to drink 24 ounces of fluid for every one pound of body weight that is lost during the race. Don’t try anything new on race day, from breakfast to clothing. If you haven’t tried it during training, race day is probably not the day to try something new. New foods may upset your stomach, new clothes may cause friction and supplements may affect blood pressure, heart rate, sleep and more. To prevent small injuries from becoming big problems, always adequately warm up before and cool down after your runs. Dynamic stretching and activities to help elevate your hear rate should be practiced before your runs. At the end of your runs, gradually slow down the pace to a walk to allow your heart rate to decrease. 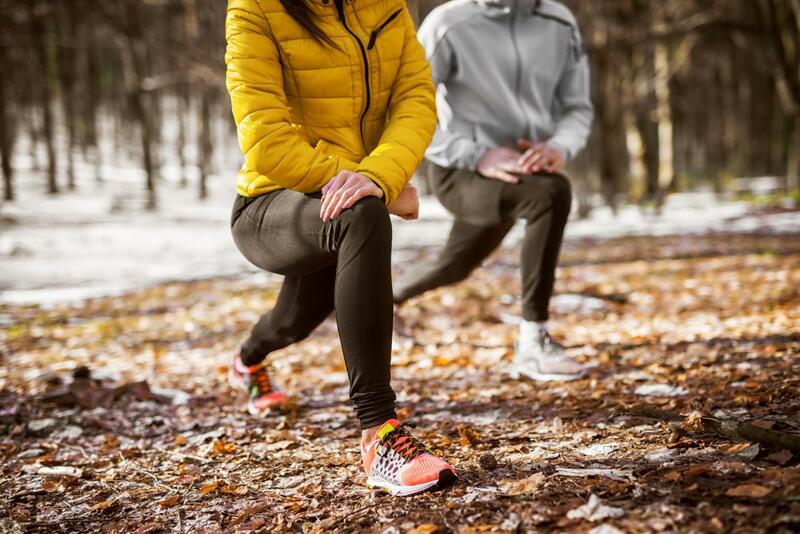 Finish up with some static stretching to help reduce muscle soreness and reduce your risk of injury. Don’t be afraid to see a doctor to evaluate an injury. Identifying and properly treating small injuries early in training can help prevent a small injury from turning into something more serious that may sideline you during training or on race day. Don’t underestimate the value of sleep. Rest and recovery are two of the most important, yet most often neglected parts of a training regimen. Adequate sleep is critical for muscle growth and recovery. Seven to eight hours of sleep the night before the race is recommended to ensure that you arrive rested and refreshed. A training plan and race day routine are things that are unique to each of us. Through your training and races, you will find what works best for you. However, practicing some of these training and race-day basics can help you have a stress-free and enjoyable experience! For more tips on nutrition, go to www.nebraskamed.com/sports-medicine and click on “Three Critical Race Day Nutrients” video at the bottom of the page.